you just have to laugh at your own stupidity/clumsiness ore whatever. Wanted to try out The DH’s idea on the fabric for the compass needles (had a charm pack to use as a decision maker) and used two triangles from two small pieces if what I have left of the background fabric (from Joannes in the USA, which we can’t order from here) . I am quite frugal with that fabric since if it lasts, I’m going to use it in the outer border. Thought that now I have the PP process down to par, I can use triangles in the 1/8 of the first block. What did I do? After sewing the first half arrows in place and cut of the extra – i cut one side down to the sewing line. Not to the seam allowance line, but the whole danged seam allowance was cut of. No wonder the pieces didn’t fit together. Gahhhhh!!! 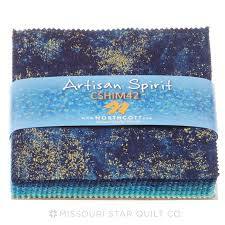 I’m going to use Artisan Spirit Shimmer (from Northcott) in the needles and went online, found a store and ordered some 1/1 yards of the ones needed it. The I got a email ad from the store I buy a lot of fabrics from, out of curiosity did a Northcott search and of course – there was the same fabric 4-5$ cheaper….WTF, why don’t I think?? Well, I just placed an order with them for 1 yards of several other colors, just in case. I will go to Joann and see if they still have some of the background…. today!! !